Basket Case is my favorite pattern yet with strips that seem to weave in and out of each other. 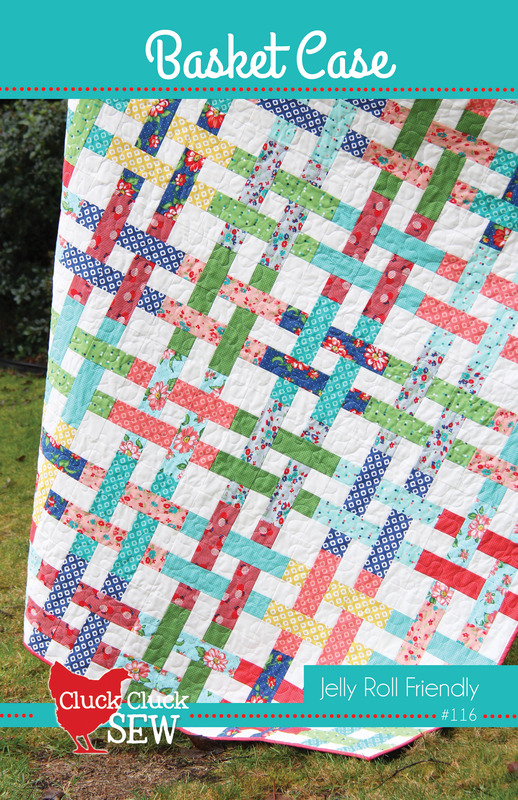 It is all machine pieced from 2 1/2 strips and a background fabric. The simple cutting and piecing instructions minimize lots of pesky visible seams and will have your friends wondering how you did it. 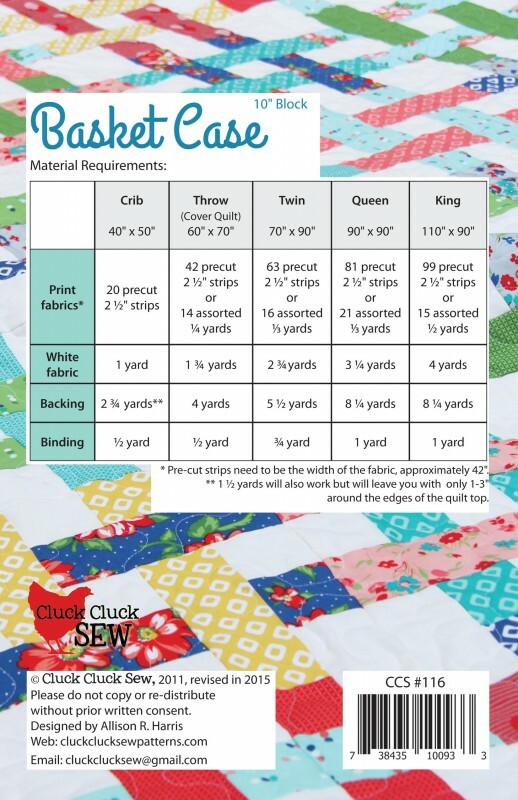 Pattern is suitable for beginners with good piecing/seam matching skills.